The Royal Variety Performance returns for a second time to the Apollo Hammersmith, with HRH Charles, the Prince of Wales on duty, accompanied by the Duchess of Cornwall. Presenter David Walliams is another returning face, having hosted the 100th anniversary performance in 2012. An affable and mischievous presenter, Walliams uses his popular character comedy several times through the evening, at one point invading the royal box dressed as an over-zealous usher. The Apollo is best known as a venue for music gigs and, by choice or by accident, there is a strong rock and pop edge to this year’s show. Showman Robbie Williams can always be relied on to bring a theatricality to his set and his Heavy Entertainment Show is dripping with sharply choreographed routines enhanced by Williams’ cocky stage persona. DNCE set feet tapping with this year’s party anthem Cake by the Ocean while ABC resurrect the sound of the 1980s with its hit The Look of Love. R’n’B soul singer Emeli Sande delivers a passionate rendition of Hurt from her latest album, while veteran artists Sting and Barry Gibb plug recent recordings on the back of their classic hits from the 1970s and 1980s. But the stand out act of the evening is Lady Gaga. Last seen on the RVP in 2009 wearing a red glitter outfit while playing a floating piano, here she gives an intoxicating performance of A Million Reasons that is elegant, powerful and classy. Lady Gaga was a last minute replacement for Sheridan Smith, who earlier in the week stepped down from the line-up to be with her family following the death of her father. Musical theatre is represented by the cast of forthcoming An American in Paris led by Broadway’s Robert Fairchild and Leanne Cope and introduced by the delectable Leslie Caron, the star of the 1951 movie. Gary Barlow and Tim Firth introduce the cast of The Girls to a receptive audience, while McFly’s Tom Fletcher offers a snippet from his children’s musical The Christmasaurus. 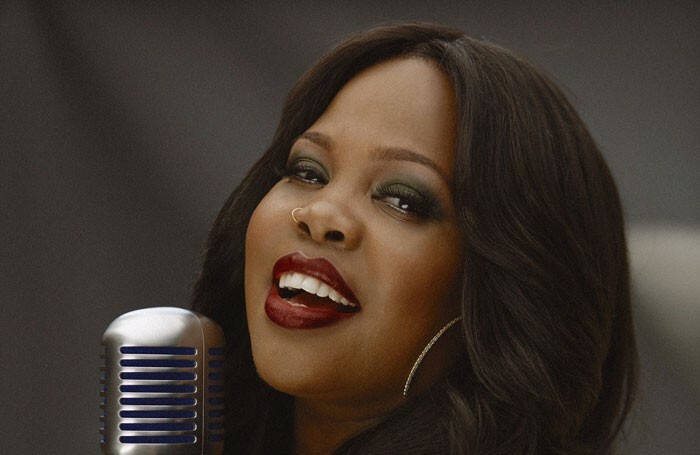 It’s Amber Riley however, who knocks everybody sideways with a belting And I’m Telling You I’m Not Going from the musical Dreamgirls, which opens this week in the West End. This year also marks the 10th anniversary of Britain’s Got Talent, which has propelled a host of performers – human and canine – to the RVP stage, including Diversity, who return with more breathtaking street-dance moves. The 2016 winner Lance Corporal Richard Jones inveigles Prince Charles to take part in a magic trick, before dedicating his performance to his brother, a forces bomb disposal expert, who joins him on stage. Circus, comedy and classical performances are few and far between this year. Alan Davies and Rob Beckett demonstrate very similar lines in self-deprecating, awkward-dad stand-up but Joe Lycett has to work hard at his camp banter to get a laugh. Cirque Du Soleil presents a stunning fusion of dance and projection from its show, Love, but otherwise there isn’t a spesh act in sight.